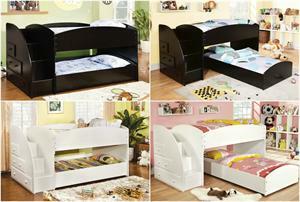 The straight clean lines create a modern Mission style that is perfect for a child’s bedroom. 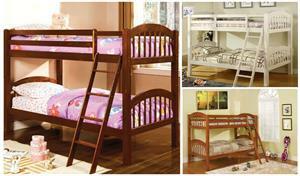 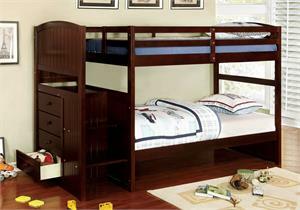 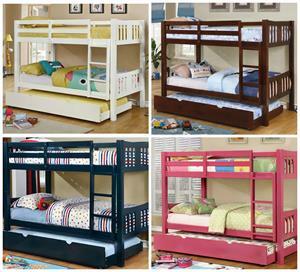 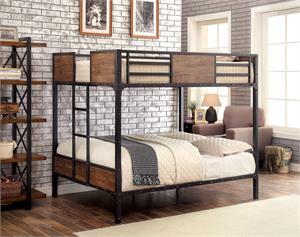 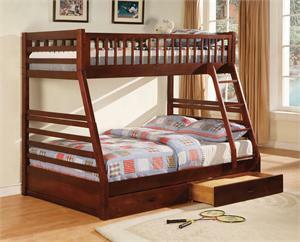 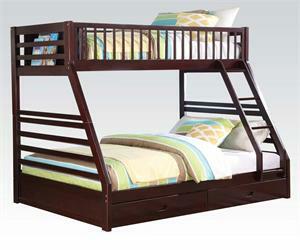 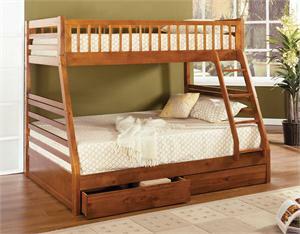 This twin XL/queen bunk bed has three colors available: dark walnut, oak, or white finish. 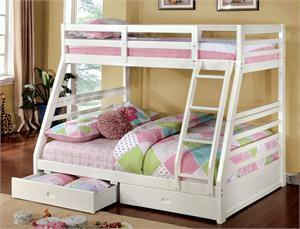 THIS BUNK BED NEEDS TWIN EXTRA LONG SIZE MATTRESS !